Nadia Mokriy is the Executive Director of Safe City Mississauga. Nadia has been a part of Safe City Mississauga since 2013, starting as a volunteer and through successive promotions taking on the Executive Director role in 2018. 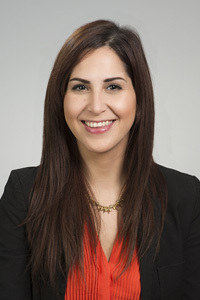 Nadia has been involved with various community organizations in the past including Couchiching Community Initiative, United Way, and Big Brothers Big Sisters, through which she has shared her passion for community development and citizenship education. Nadia holds a Masters of Education, Honours Bachelor of Arts and Science, and a Bachelors of Education. 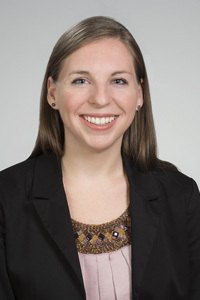 Samantha Gob holds a Bachelor of Arts Degree with High Distinction in Geography and English from the University of Toronto, with a background in Environmental and Social Development. Upon graduation, she earned a Most Outstanding Student Award from the Department of Geography for graduating at the top of her class. Samantha has been involved with Safe City Mississauga since 2010, starting as a volunteer tutor for the Aspire program. After branching into more administrative roles for the program, Samantha eventually became the program’s lead (Youth Development Supervisor), dedicating several years to helping Aspire develop into a flourishing, city-wide program. 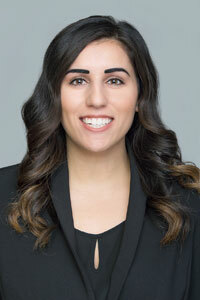 Now, as Safe City Mississauga’s Community Services Manager, Samantha manages all of Safe City Mississauga’s programs, projects, and campaigns. In 2018, Samantha became a certified International Crime Prevention Specialist (ICPS) by the International Society of Crime Prevention Practitioners. Samantha is certified in Applied Suicide Intervention Skills Training (ASIST) and Mental Health First Aid. She holds membership with Central Ontario Crime Prevention Association (COCPA) and has obtained a C.P.T.E.D. (Crime Prevention through Environmental Design) Level 1 Certificate from the Peel Regional Police. In her spare time, Samantha volunteers with Victim Services of Peel as a Crisis Responder. Valerie Briffa is a charismatic professional and accredited International Crime Prevention Practictioner (2018). With years of experience in community development and research-led practices, Valerie brings with her a unique blend of academic and practical experience. Valerie graduated from York University with an Honours BA double-majoring in Criminology and Human Rights & Equity Studies. While completing her undergraduate degree, she volunteered as the Vice-President of the Criminology Society. Following her graduation, she went on to work with Safe City Mississauga as the former Crossroads Program Coordinator & Researcher for in-school programs. Her research, as seen in Reports, demonstrates the impact of community policing on youth perception of law enforcement. Valerie volunteers as a Restorative Justice Facilitator, serving with youth and families in conflict with the law. She is currently part of the strategic Peel Human Trafficking Service Providers Committee, working with community partners to combat this issue in the Region of Peel. Melissa graduated from McMaster University with an Honours Bachelor of Arts in Social Sciences, with a major in Sociology and a minor in Anthropology. More specifically, she specialized in Sociology of Deviant Behavior and Cultural Anthropology, and graduated with honours. 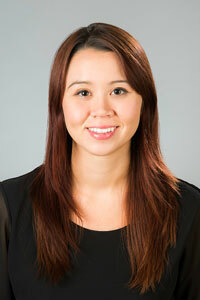 While completing her undergraduate degree, Melissa also volunteered as a tutor and mentor for Pathways to Education. Melissa then went on to complete a Master of Arts in Criminology on a full scholarship at the University of Manchester in the United Kingdom. Following her graduation, Melissa became trained as a volunteer for Associated Youth Services of Peel as a Court Liaison Assistant, and as a Diversion Coordinator Assistant, to contribute to their goal of using restorative justice for youth in the community. She is also currently involved in the community as a member on the Acorn Community Out Reach Network, and has recently become a co-leader for the I AM THAT GIRL non-profit organization in Oakville, Ontario. Melissa became a part of the Safe City Mississauga team as an Assistant Program Coordinator, and has now been promoted to a Youth Development Supervisor for the Aspire program so she can continue to promote education for youth and encourage crime prevention techniques. Sneha Rao graduated from the University of Toronto, Mississauga with an Honours Bachelor of Arts, with a double major in Criminology & Socio-legal Studies and Sociology, as well as a minor in Anthropology. 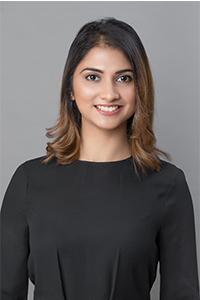 During her Undergraduate degree, Sneha completed an Overseas Studies Program at the University of Oxford where she studied Rights, Freedoms and Responsibilities in Criminal Law in Canada and England. Over the years, Sneha became involved in various community organizations, including Let’s Talk Science, Big Brother Big Sister Foundation, Vita Center, the University of Toronto as well as assisted in program delivery at a Summer Camp in India. Her work in recent years helped to support positive youth development by empowering youth to reach their academic, professional and personal potential. Sneha joined Aspire in 2016 as a volunteer Site Coordinator, and shortly after was promoted to the Assistant Program Coordinator for the South-East portion of the program. In 2017, Sneha was further promoted to her current role as the Youth Development Supervisor for the Aspire program. Sneha has been certified in Mental Health First Aid (MFHA – Adults who interact with Youth) and sits on the Region of Peel’s Neighbourhood Capacity Support Strategy Committee, which seeks to provide services and programs to community members in the Collegeway and Ridgeway neighbourhood in Mississauga.